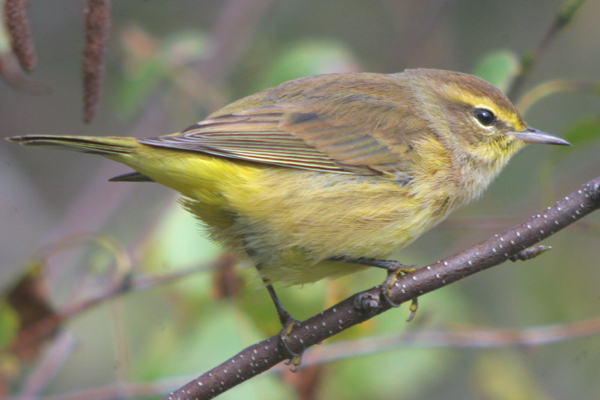 First up is an amazingly nice Palm Warbler of the eastern or “yellow” variety. 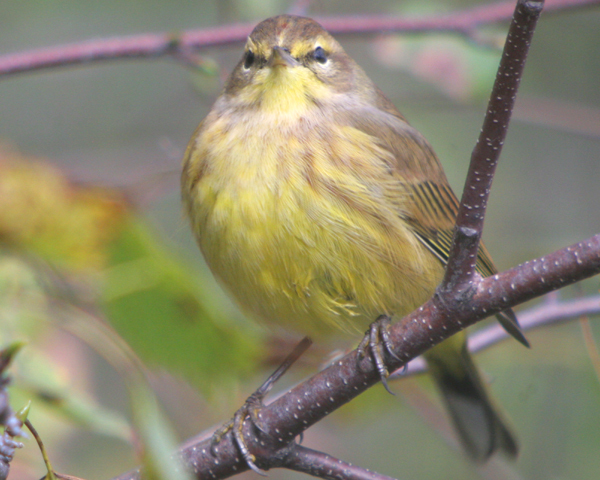 Western or “white” Palm Warblers only have yellow on their undertail coverts in fall and have a white rather than a yellow supercilium. Both eastern and western Palm Warblers do wag their tails, a nice field mark if you are at a distance. 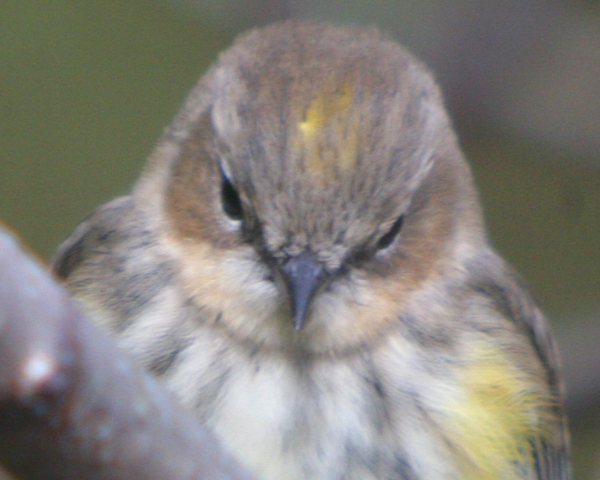 And, for comparison purposes, here is a “western” Palm Warbler that was not quite as cooperative. 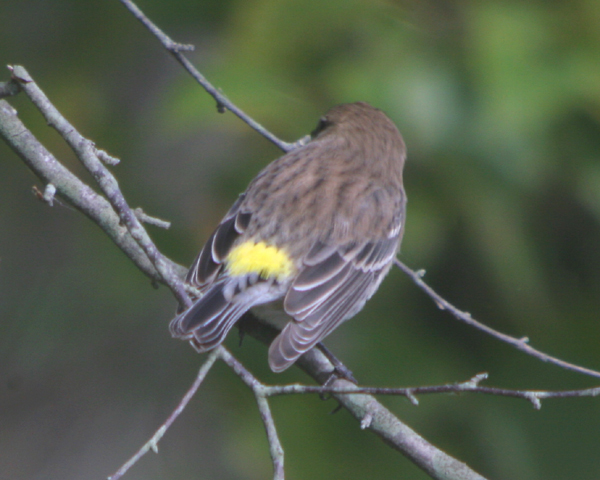 The two photos below serve to illustrate the idea that all Yellow-rumped Warblers have yellow rumps but not all warblers with yellow rumps are Yellow-rumped Warblers. I might need to get that on a bumper sticker! 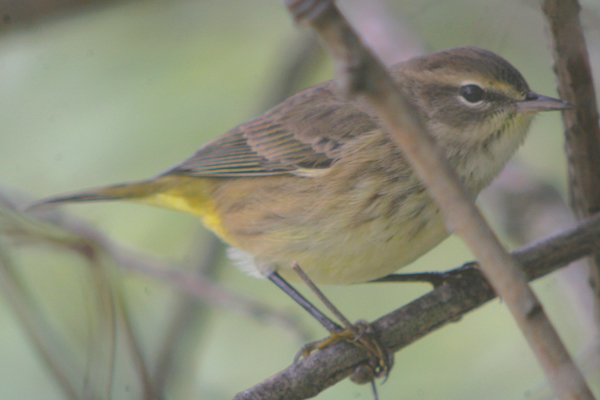 The first rump is that of the Yellow-rumped Warbler and the second is that of the same eastern Palm Warbler that is featured above. 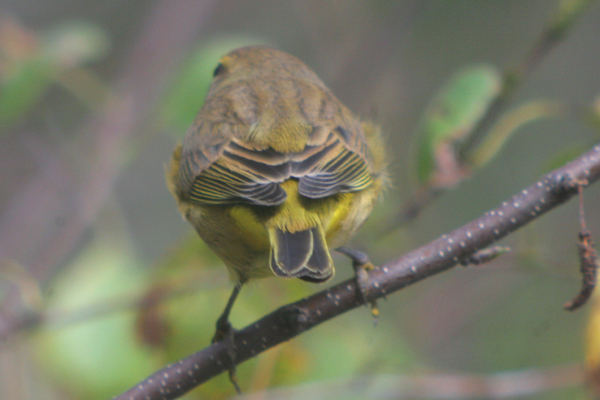 Of course, I can’t let this post go without a shot of a Yellow-rumped Warbler that features something other than a rump, otherwise I might be accused of some kind of bizarre perversion! Mmm…butterbutts…mmm. And, finally, a shot of one of those confusing fall warblers, you know, the ones that everyone is always so worried about identifying. Well, this one is a Blackpoll Warbler and I’m not going to go into details as to why, except to say that the streaks on the back are the easiest way to make sure of the identification. 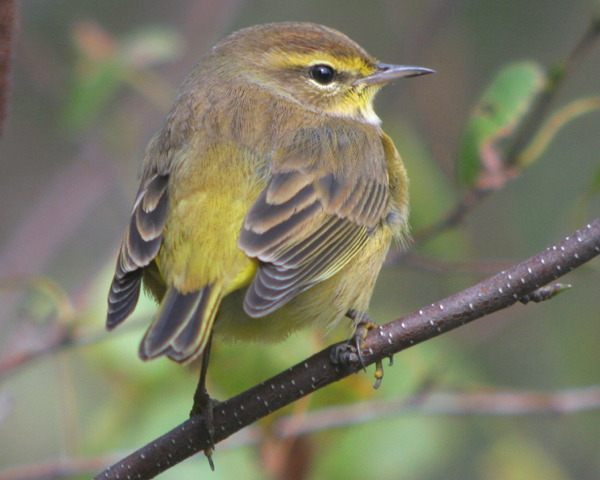 May you go out and see a horde of wood-warblers (or, if you are in the eastern hemisphere a horde of warblers, you poor things) this weekend! Whenever I see a Blackpoll like the one you photographed or a nice Bay-breasted with soft beige sides I think to myself this warbler thing isn’t so hard after all. Then, on the same outing, I’ll almost certainly run into one of those tweeners to humble me completely. Such is the way of the fall warbler. Nice shots. I have plenty more YR Warblers to send down to ya! Those Palm shots are superb! I just noticed my first Palms down here in Florida amongst the dozens of Pine Warblers. Looks like I finally get some warbler diversity for the rest of the winter.